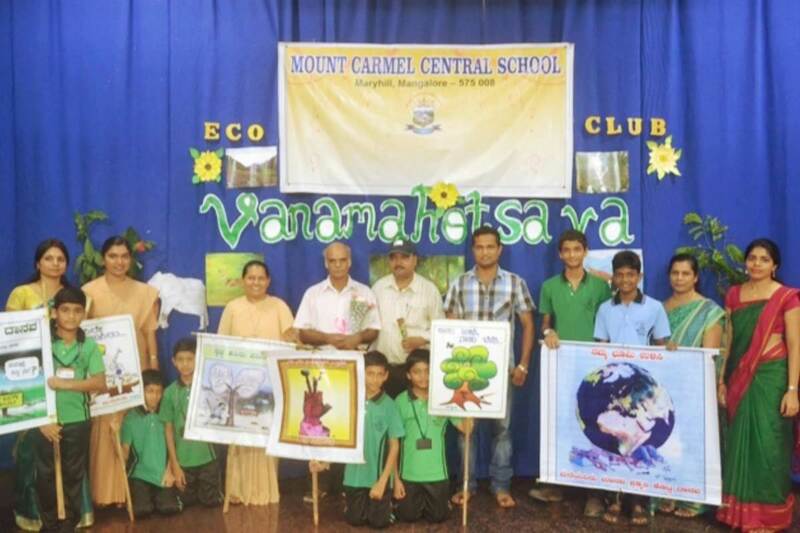 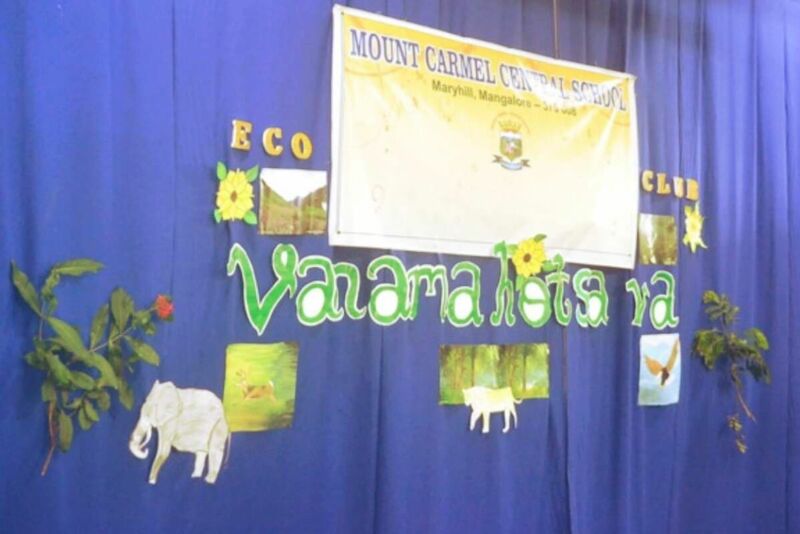 ‘Vanamahotsava’ – The Festival of Planting Trees was celebrated by the members of Eco-Club of Mount Carmel Central School (MCCS), by planting trees at various spots around the campus, following a formal programme which was held at the School Auditorium on Saturday, 25 July. 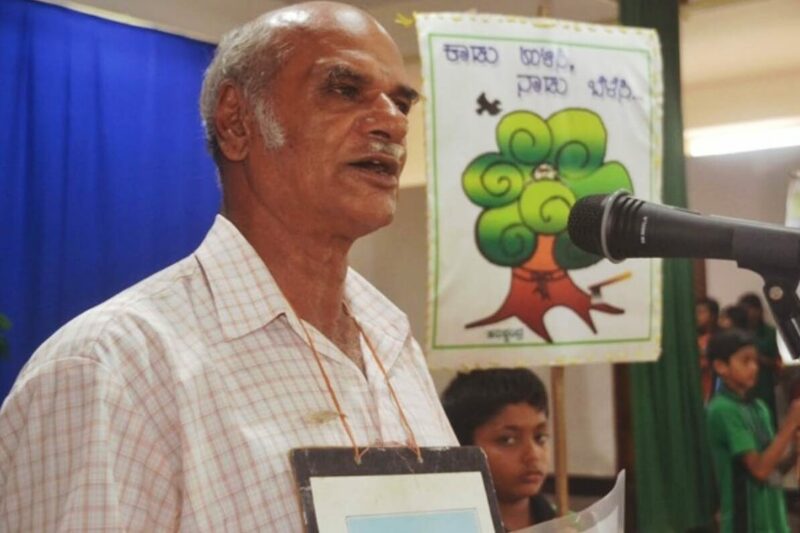 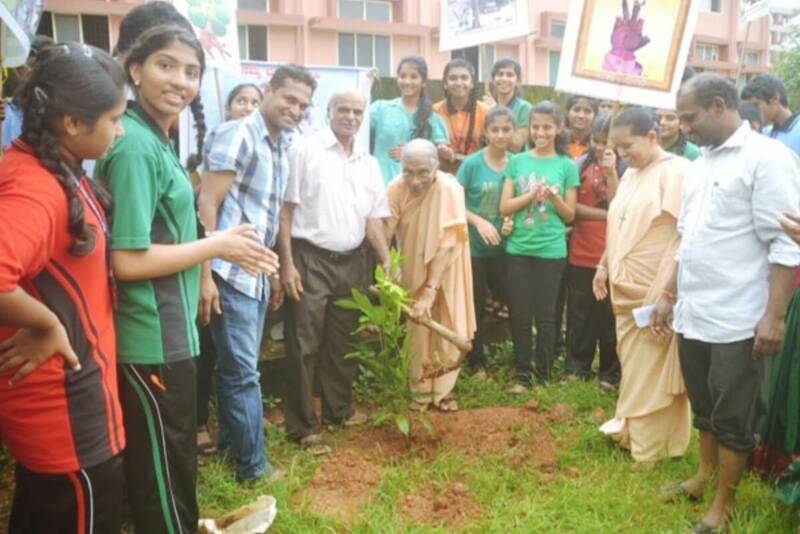 Mr. Krishnappa K, an Environmentalist who resides in Mangaluru, and an active volunteer involved in various awareness projects connected with environment and tree/sapling planting was the Chief Guest of the day. 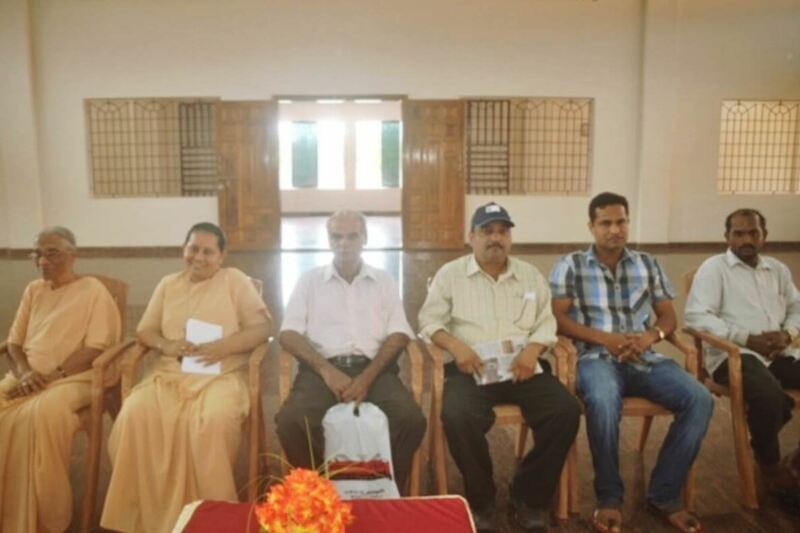 The other dignitaries present during the occasion were Sr. Carissima A.C – Administrator of the school, Sr. Melissa A.C – Principal, Mr. Collin D’Silva and Mr. Ajoy D’Silva – both active members of Mangaluru Green Brigade, and Kailesh Gowda– a Horticulturist. 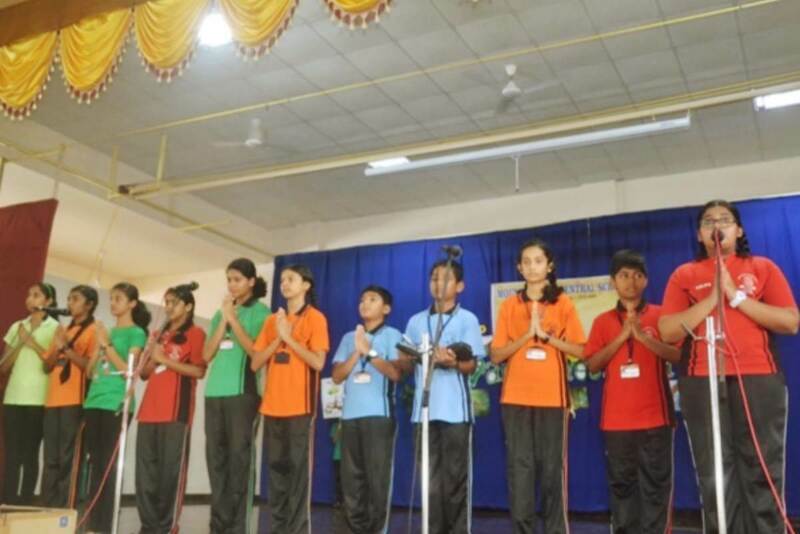 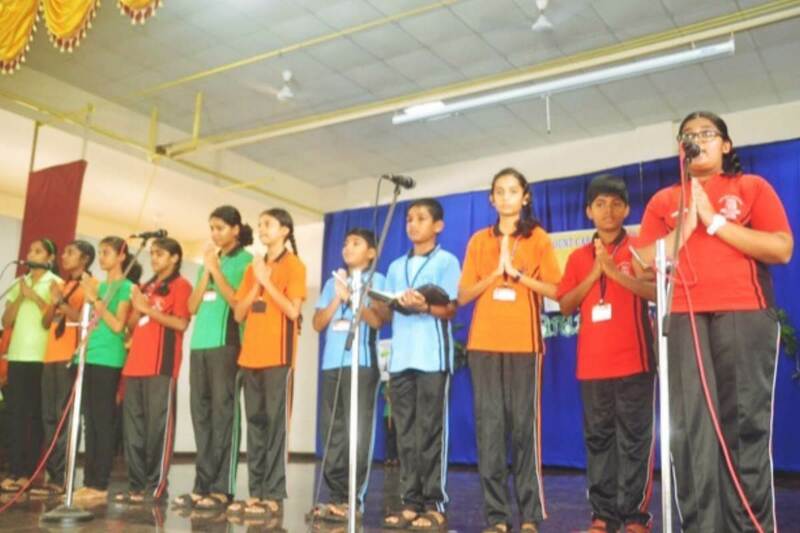 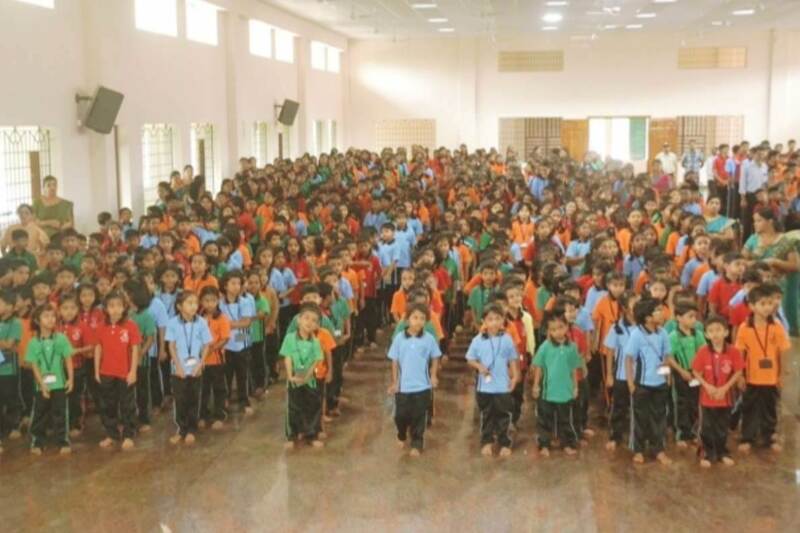 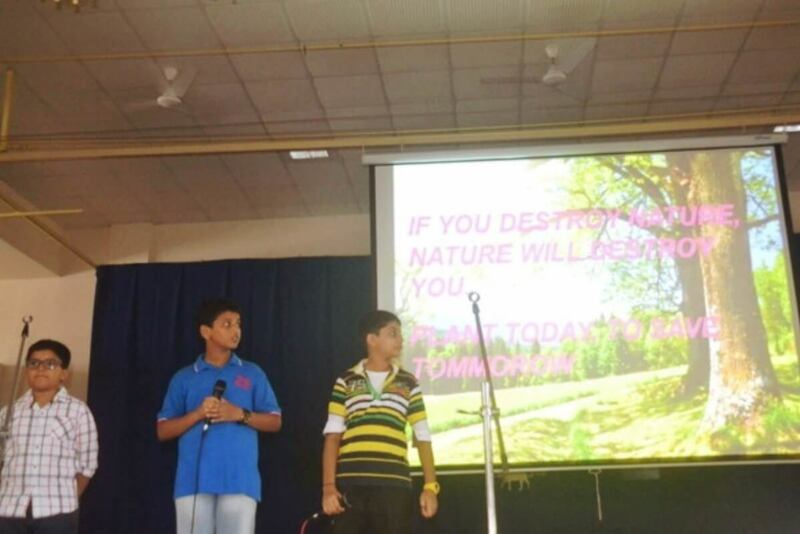 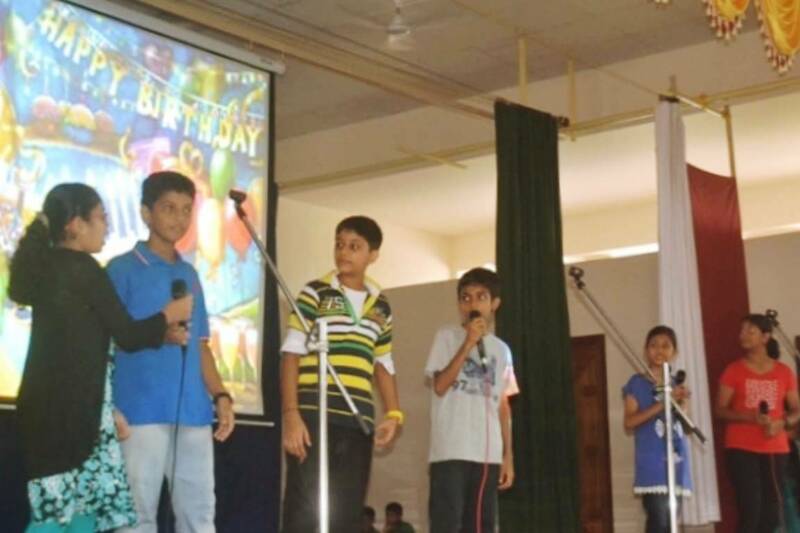 The Eco Club students began the programme by invoking the blessings of God. 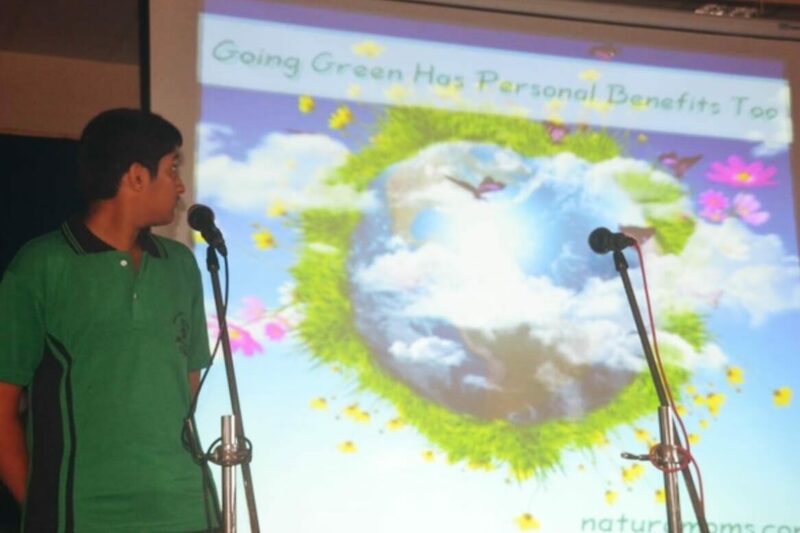 Ashel Sequeira of Class X, the President of Eco Club welcomed the gathering. 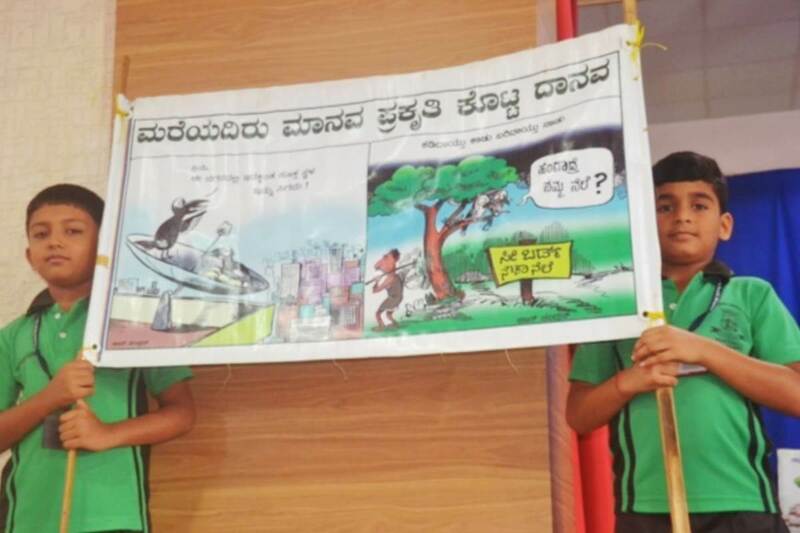 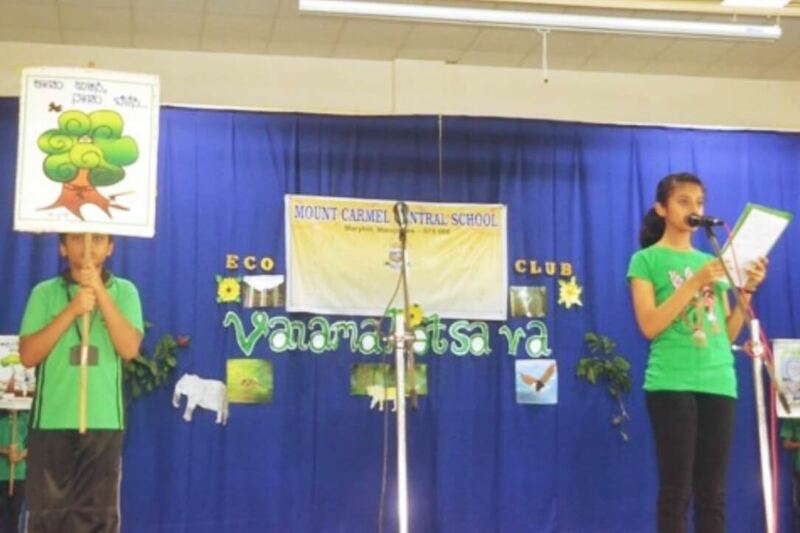 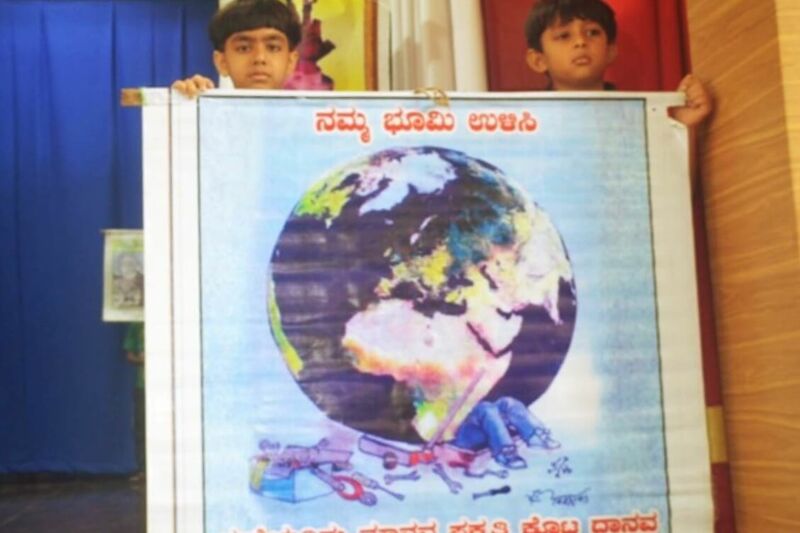 The Students of Eco Club brought out the significance of Vanamahotsava beautifully with the help of Power Point Presentation, display of placards and banners. 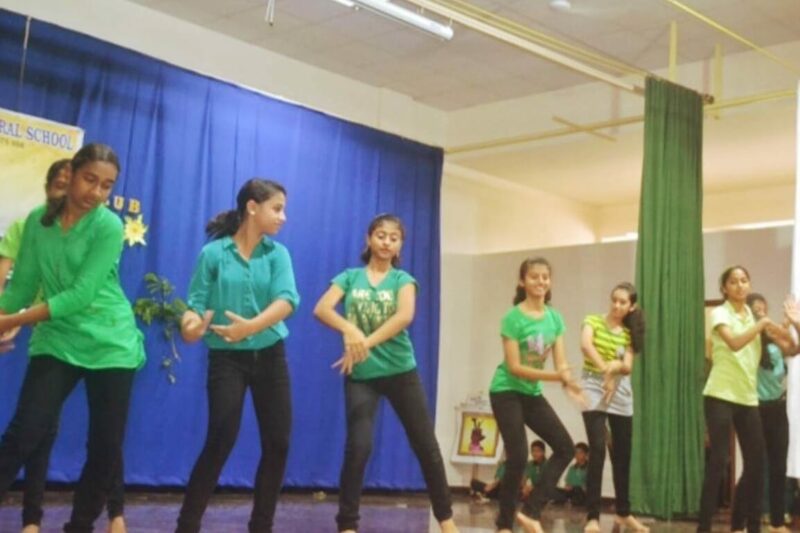 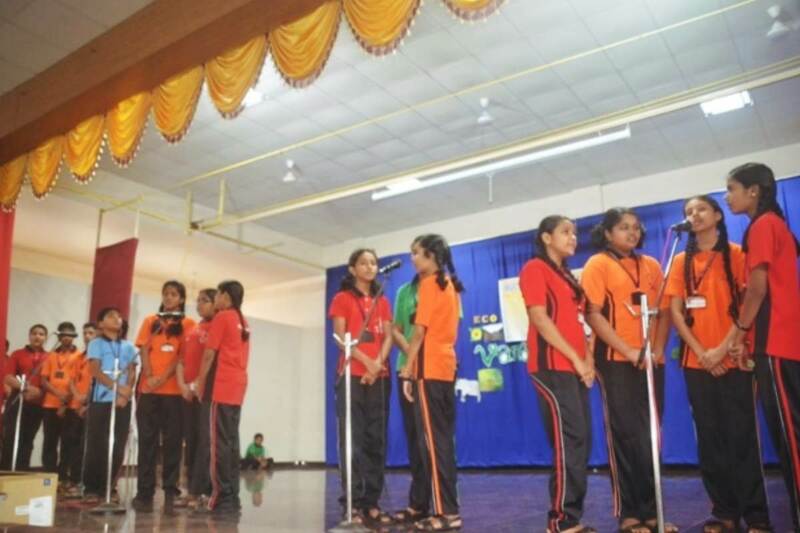 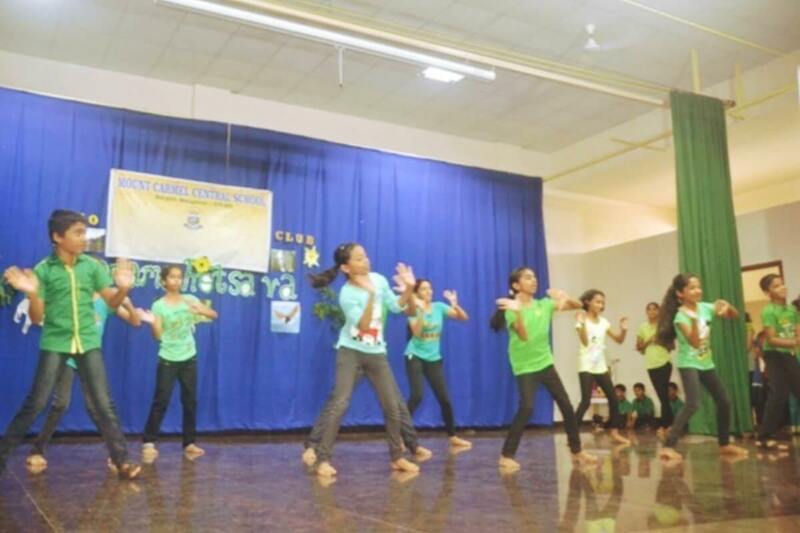 The message of “Save the Trees” was reiterated through a Cultural Programme consisting of dance, song and a skit. 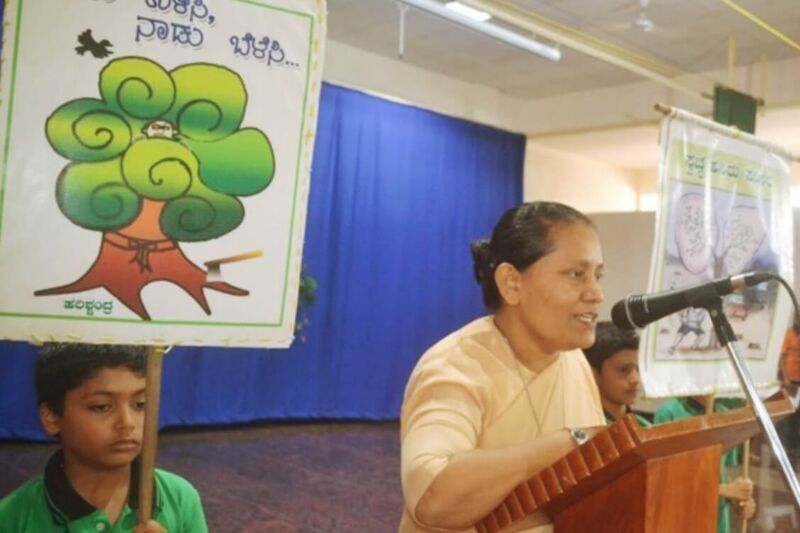 Addressing the gathering, Krishnappa said, “We all know that due to infrastructure lots of trees are axed down and so the greenery is lost. 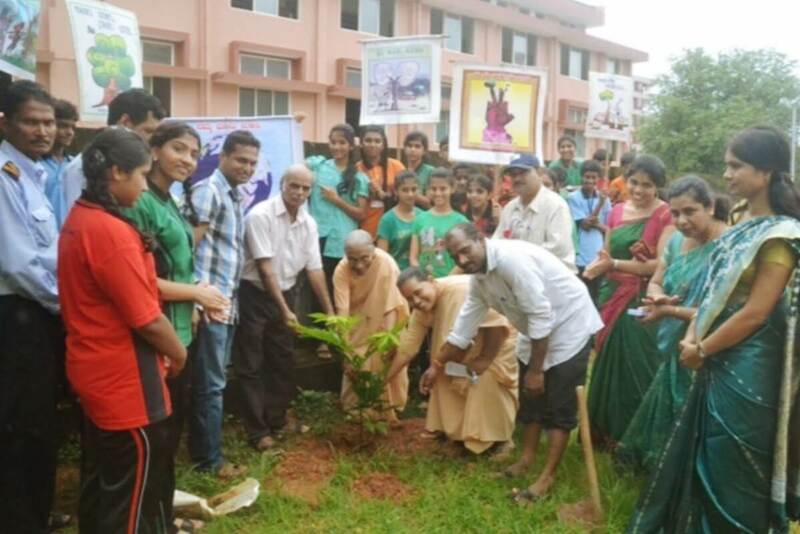 This is a good step taken by you students to bring awareness about tree planting and green environment. 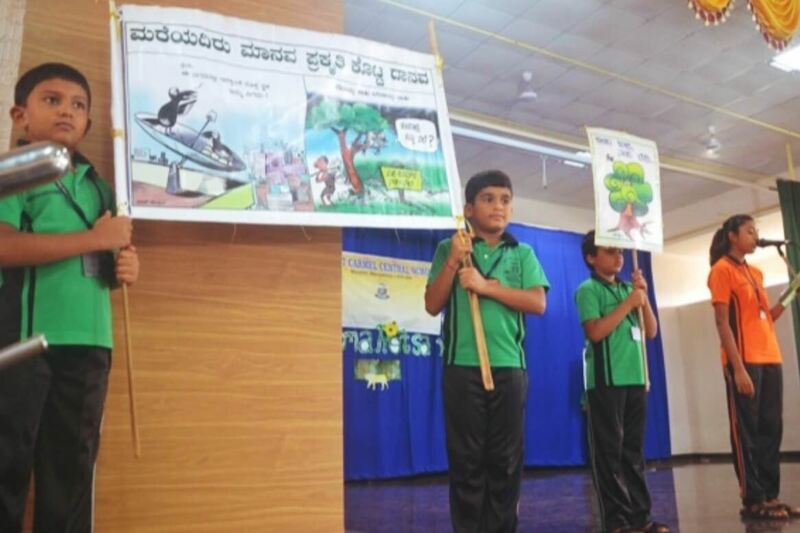 Planting of trees not only serves other purposes like providing alternative fuel options, food for cattle, helps in soil conservation and more than anything offers a natural aesthetic beauty, but also is extremely effective in slowing down global warming.” The Chief Guest graciously gave his message through a number of slogans, which were enthusiastically repeated by all the students. 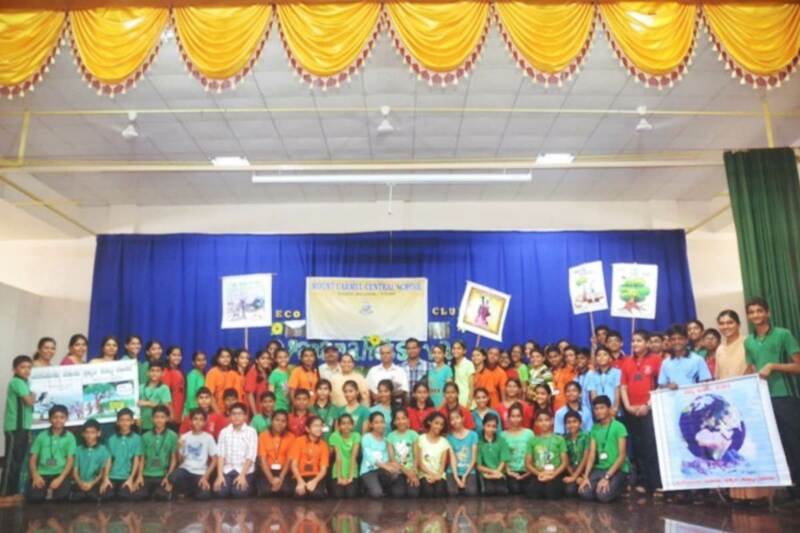 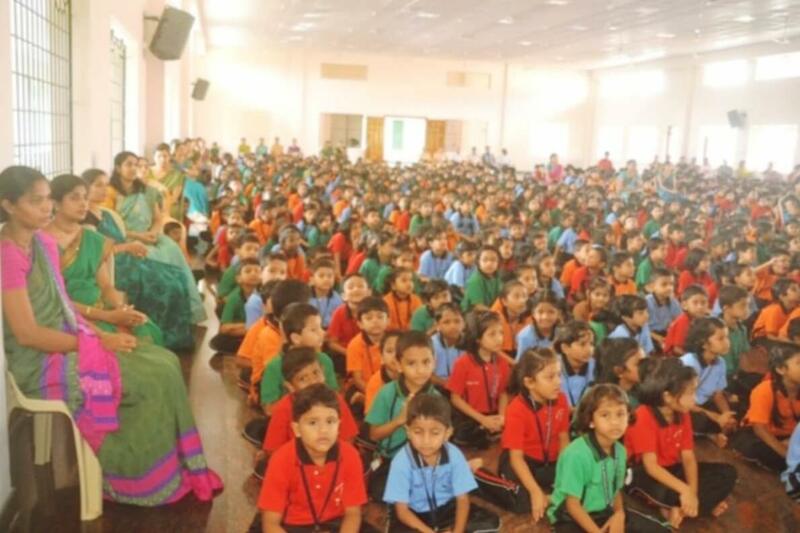 The programme was concluded by the vote of thanks by Thrijanya and Sezal of Class IX, followed by the planting of saplings around the school premises by the Chief Guest Krishnappa K., Principal Sr. Melissa A.C., Administrator Sr. Carissima A.C. and the Eco Club coordinators Mrs. Sylvia Benis, Mrs. Nupur Dutta, Ms. Saritha E.V and the members of Eco Club. 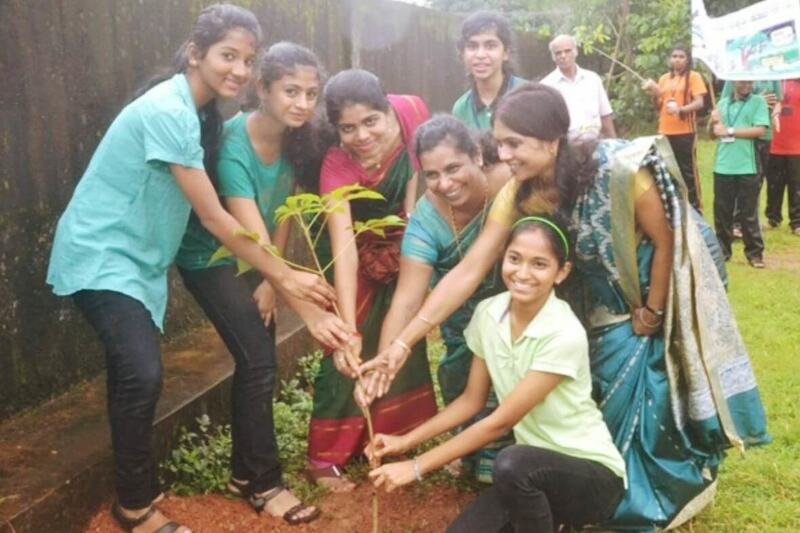 Joel ‘Ajoy’ D’Silva and Collin D’Silva, the members of Green Brigade also joined in the planting of saplings. 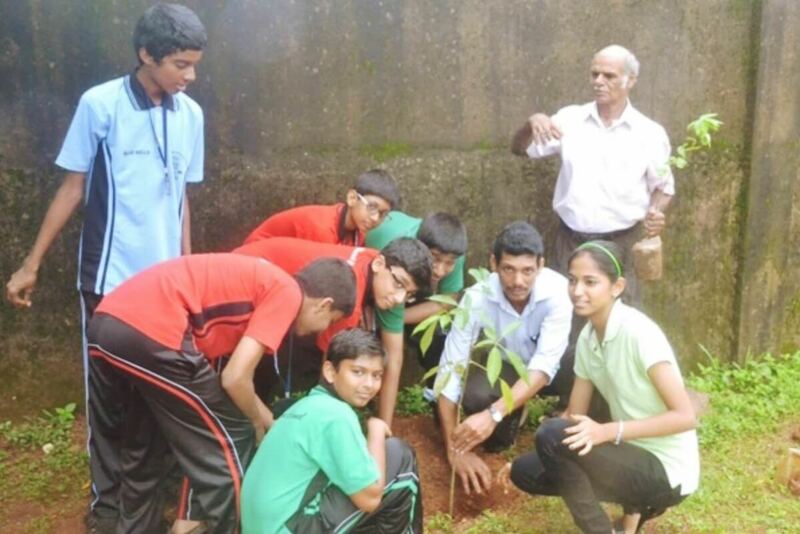 Various saplings of Avalanda, Badam, Cherry, Sheetha Ashoka, Kokum and Sampige were planted in the school premises. 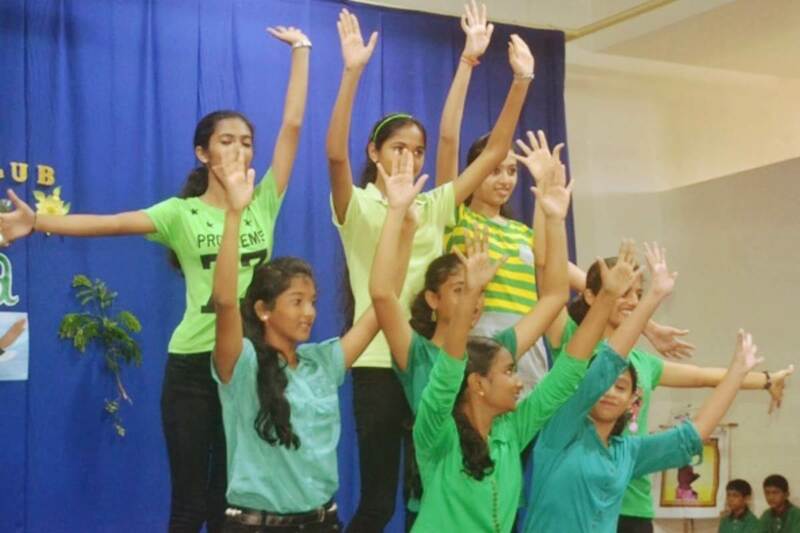 It was indeed a very educative and a greeny day for all at MCCS.